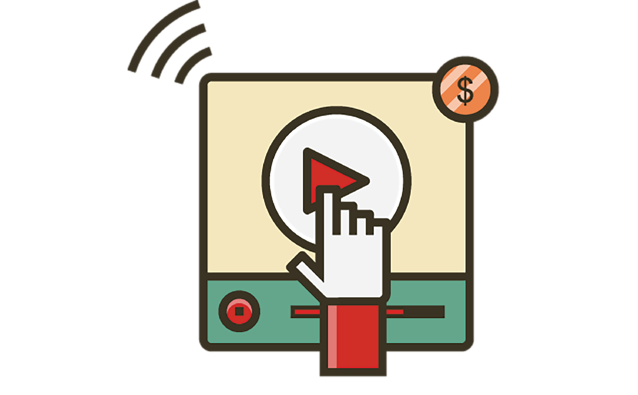 There are two times you want to use pay-per-click advertising to support your Inbound strategy, even though many people see these two efforts (Inbound and PPC) as disparate. One is prior to creating content, and one is after content is created, for amplification. Let's start from the beginning and examine how you can use PPC resources to inform or confirm your content production and promotion choices. Using PPC prior to creating new content is a process. You can't simply create any ad you want and then use the results to inform your upcoming content strategy. Instead, you need to carefully use Adwords data to sort through varied options, discovering the terms prospects are using to talk about topics relevant to your business. You might not have thought of the particular phrasing they're using, perhaps because you're so immersed in your industry that it's hard to use incorrect, though more common, terminology (for example). You can see which terms are being searched for, including the search volume and difficultyRunning a test campaign with given terms and following it through to its conclusion means you can see what works and doesn't here. If you would like to rank higher for certain terms, you'd want to adjust your SEO strategy accordingly. Additionally, you'll want to use PPC to tease out unbranded terms. A basic ad for a simple service can reveal a lot of information about what people are actually looking for and how they're getting to your site. So how do you go about that? Use a broad keyword first. Run a campaign and see what terms actually trigger that ad. Do this several times with several broad terms. Combing through your combined results will show you which SEO and content opportunities you have, and how you might want to compile your content mix. You can also identify "negative" keywords if you find yourself ranking for services you don't actually provide. You may even be able to take a direct term and form a new content offer based on that search, knowing your ideal prospects are already searching for that content. So let's say you'd like to use PPC not to inform your content creation, but instead to support your content's distribution. How would you go about running a campaign that allows you to do that? First, do an audit of all of your resources. You might find that you have an upcoming resource that you need to cast a wide net for, just to spread the word and gauge interest. When you send an email to your customers or a blog subscription list, that's great — but you're not getting the word out to anyone who doesn't already know you. Using PPC allows you to target the rest of the audience you're looking for and find out how content will perform under those conditions. If you don't already have a Google AdWords or Yahoo/Bing account, you'll need to set one up, go through all the steps and organize the account to your liking. Then start creating goals, so you can measure and track performance. We always suggest using the SMART goal framework and focusing on relevant KPIs. Consider that your PPC mix shouldn't just be focused on this one content offer you've chosen to amplify. If you want a great content amplification strategy, it's important to create a mix of brand terms, ads about products and services, etc. — that's the baseline stuff. You certainly can just do a content offer amplification, but creating a mix is a better idea, in New Breed's opinion. • Clear, concise messaging - What are you offering and how can people proceed? We highly recommend diving into recommendations in Adwords about average costs per click. You should aim for that while you create your goals. Because bidding is based on the keywords you've chosen and how many other people are bidding (and what amount they're bidding), super simple, generic terms are likely to require a high bid to rank — and you still probably won't rank. For longtail keywords with a lower search volume, where searchers will already be more qualified for your business, you'll probably be able to rank more easily with a lower bid. There's always a lot of chatter about outbound vs. Inbound tactics, and many marketers view PPC as part of the traditional, outbound camp. But using pay-per-click advertising to inform your content strategy and to amplify your content once its been created — both in order to draw interested visitors to your site at the right time in their buyers' journeys, shows that Inbound and PPC can be friends. Really great friends, if you're doing it right.